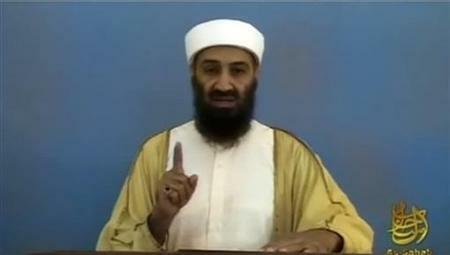 So Bin Laden dyed his hair and beard and obsessively watched home videos of himself. He sounds like the Donald Trump of the Muslim world. Like The Donald The ego is clearly enormous. The gray bearded old man watching himself during his glory days is straight from a manual on egomania. The videos do something that America could never achieve spending billions of dollars. They diminish him even to his followers. He is a Hitler figure during his final days in the bunker obsessively replaying his greatest hits . Except nobody but himself is watching. The Scarlet Pimpernel has become the Gray Beard of Grunge in his untidy lair. By not bombing the house to Kingdom Come and getting access to these videotapes President Obama has won an major victory . The mythic legend of Bin Laden has been struck a mortal blow. The tapes show a sad old man replaying his salad days. Even his most fanatic followers will be shocked by how he looks and acts on these tapes. The devil is dead well and truly.